The three factors that have the most direct influence on shot direction are the path of the swing (30%), the centeredness of the contact with the club face (10%) and lastly, the face angle (open or closed) of the club head at impact (70%). Lie angle has a significant influence on face angle. Golfers using clubs that have too upright a lie will tend to address the ball with a closed face while too flat a lie will cause an open face. One way to check lie angle is to simply have the golfer take their normal stance and grip and have a look at whether the scoring line on the face of the club are parallel to the ground. The problem with this approach is that because it is static it may not actually reflect the golfer’s club head position during an actual swing. 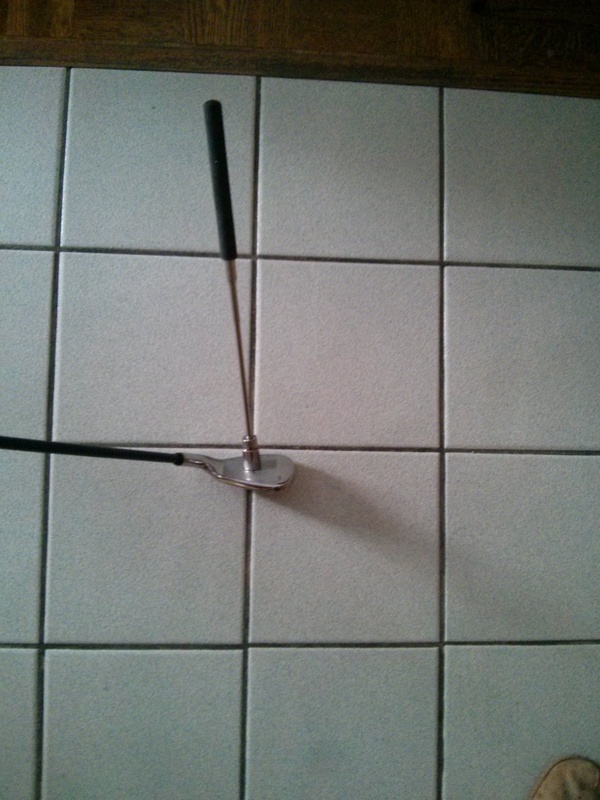 Another static approach is to place a magnetic pointer on the face of the club and literally have a look at whether the pointer points left of right of the target. If the pointer points to the left (for right-handed golfers) the lie is probably too upright and too flat if it points to the right of the target line. 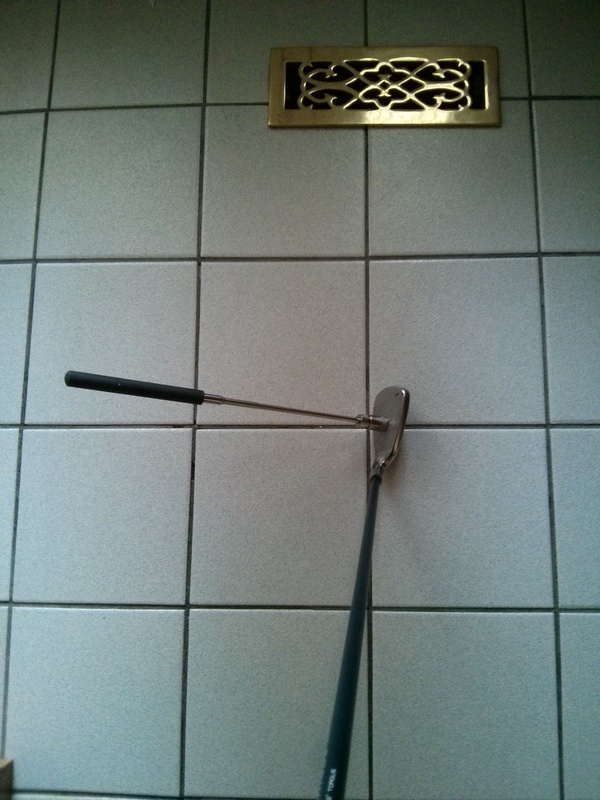 When the handle of the club is raised (simulating a lie that is too flat) the pointer aims to the right of the target line. The second method, which is dynamic and is used by many club fitters, is to place a marking strip in the sole of the club and then hit off a lie board. If the mark on the tape is toward the toe of the club, the lie is too flat; if it is toward the heel, the lie is too upright. This can work well, however if the golfer is afraid of striking down and making hard contact with the rigid surface of the lie board the result can be misleading as the golfer may not be taking their normal swing. The method I prefer does not involve lie boards or tape. Rather it uses an approach that comes as close as possible to replicating a natural swing and hit on the ball. Begin by drawing a straight line on a golf ball using a marking pen. Once the line is drawn place the ball on the turf (or hitting mat if you are indoors) with the line facing to the rear and in vertical position. Then simply hit the ball as you normally would. The line drawn on the ball will transfer to the face of the club at impact. 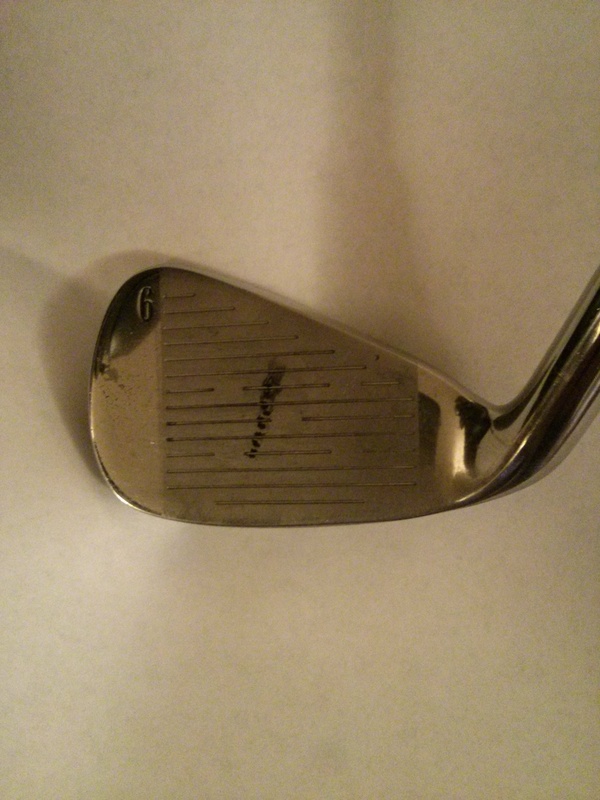 The following two photos show the line left on the club face and what the direction of the lines mean. These examples are exaggerated to demonstrate the point. Due to the hardness of the metal most cast irons are very stable in terms of the club maintaining the lie angle and will not require adjustment. There are exceptions such as hitting a rock, a tree, or even a golf cart with your club. 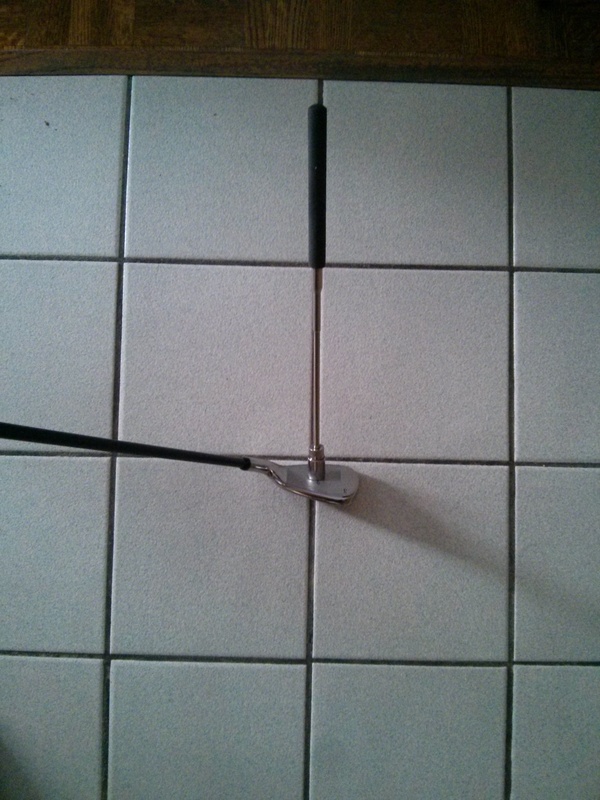 Even then, it is more likely that the shaft and not the hosel of the club head will be bent out of shape. The lie and loft angles of forged clubs can change over time even under normal playing conditions as they are made of softer carbon steel and will bend out of shape more easily than cast clubs. Forged clubs should be checked every so often to ensure that the loft and lie are in keeping with the manufacturers original specifications. The good news is that forged clubs if they need adjustment are much easier to restore to their original specs due to the softness of the metal. 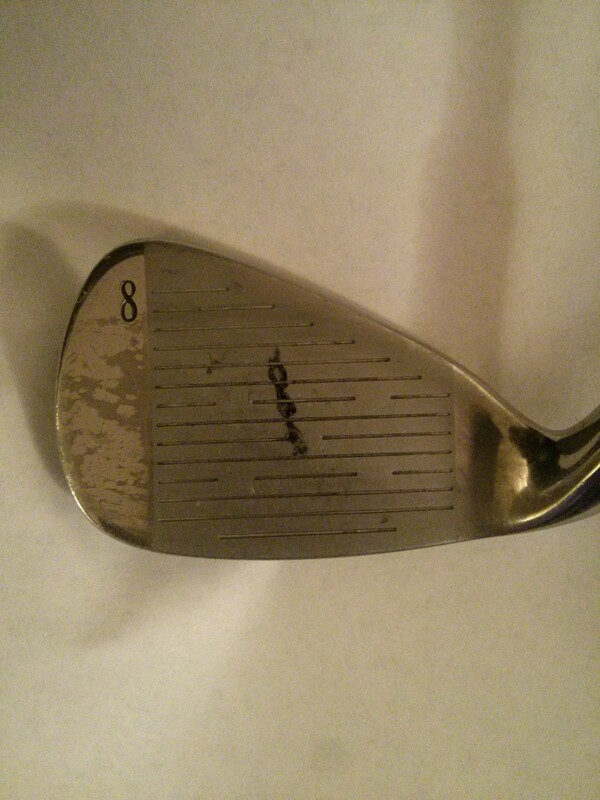 By way of example I recently checked a set of Ray Cook forged wedges and found they were several degrees off in terms of loft, and one was 3 degrees more upright than the other. These variations were not the result of abuse but rather just from normal use. Due to the softness of the metal they were very easy to restore back to their original specifications.